Books On Film 2 Hobbit Film Titles Exposed! 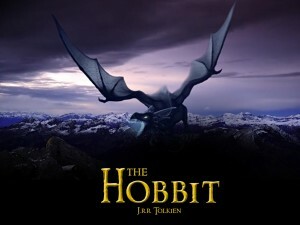 Peter Jackson is bring us 2 times The Hobbit fun! New Line Cinema, the studio that gave us the beloved Lord of the Rings trilogy, has registered two titles for the long awaited adaptation of The Hobbit by J.R.R Tolkien. A friendly neighbourhood cinema spy over at TheOneRing.net has shared the good news from Middle Earth, and what welcome news it is. entertainment, Lord of the Rings, Middle Earth, movie news, movies, The Hobbit, Tolkien. Bookmark.